Since I’ve published my first book, I’ve felt that I reached a plateau in my skill. While it was a new height, I felt as though I could be better but saw no way to do so. I mentor other writers when I can, but only to the level I am, but what I feel I lack is a mentor for me to get to my next level. 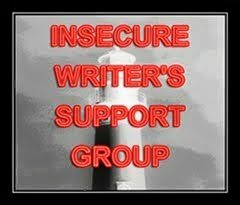 Over the years, I’ve joined a number of writing groups, both in-person and online. I’ve done forum groups, discord/skype, and even teamspeak. For the most part, I haven’t found a group for me. I had wondered if the problem was me. Self truth here, I can be a little rough around the edges. Perhaps I was arrogant/egotistical, as I often felt that I was at a higher level in my writing (or pushing for a realistic career), and I didn’t feel challenged. That’s until I met a group very recently. They meet every Saturday. We read our stuff and get critiqued. It has been a very positive experience. First, they say I’m a good writer (and in the few weeks I’ve been there I’ve shown improvement), so that definitely feels nice. Second, I feel like I get honest criticism, and not the sort of malicious comment or incoherent suggestion. I don’t have a work in progress. So for the story I submit, I am doing the Daygar Legacy books. As many of you know, I suffer from a disability and have been unable to get the support (financial) that I need. My hope was releasing a book that would help me make some money to help my situation. While I’ve received positive reviews, it hasn’t been the success I’ve needed it to be. Since sharing my book, I’ve made a lot of improvements to the first chapter. I feel confident that I can re-release my book in 2019 and do Createspace. I’d like to try to do a few books in local book stores. In order to do Createspace, I want to make sure it’s the absolute best I can make it, which I’ve always felt my books could be better. I’ve also been told by a few people they appreciate me showing up. They like that I give good criticism to their work to help improve theirs. It feels good being somewhere that challenges me and welcomes my input. More than that, I’m not just being told what is wrong, but learning why it is wrong. So the main point to all of this, if you feel like you don’t fit in a writing group (after giving it a chance), don’t be afraid to leave the group or feel that you’ve done something wrong. There are a lot of groups out there, and it’s a matter of time before you find the right group for you.